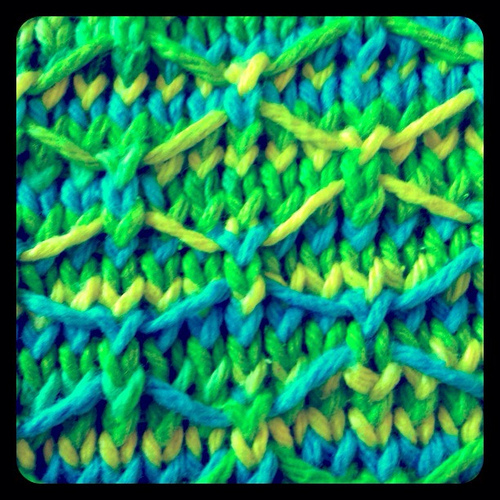 Row 4: K4 *Lift lose strand, knit into next stitch, bring lose stitch under strand; K5* . Rep. *to* till last rep, K4 instead of K5. → Repeat Rows 1-8 until desired length.